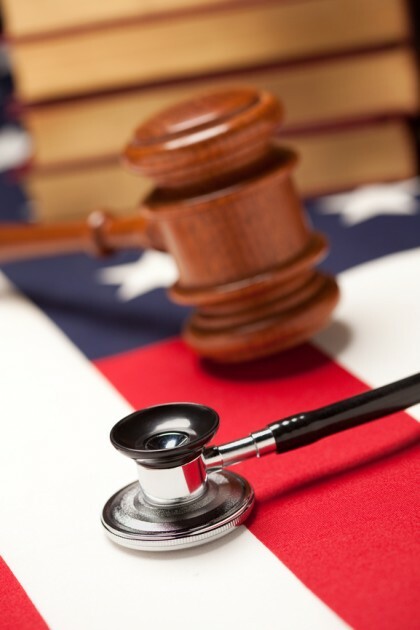 Medical malpractice is serious problem that impacts too many Americans each year. To shed some light on the incidence and impacts of medical malpractice in the U.S., below we’ll present some fascinating – if not shocking and tragic – medical malpractice statistics. The statistics presented herein have been compiled by various reputable agencies and organizations, including (but not limited to) the U.S. Department of Health and Human Services and the U.S. Department of Justice. If you or a loved one has been injured due to any type of medical mistake or negligence, you can rely on the experienced Portland medical malpractice lawyers at the Savage Law Firm to stand up for your rights, hold the negligent party (or parties) accountable and help you with your financial recovery. Here is a look at some of the most important U.S. medical malpractice statistics you may want to know. Contact us for help if you’ve been hurt due to any type of medical negligence. About 60 percent of medical malpractice plaintiffs are females, with the average age of these plaintiffs being 38 years old. About 20 percent of malpractice plaintiffs are newborns, and 12 percent are people over 65 years old. While about 45 percent of patients’ medical malpractice claims pertain to incidents that have occurred at inpatient facilities (like hospitals, for instance), just over 40 percent of these cases are related to mistakes or errors made in outpatient health care settings (like clinics or doctors’ offices, for example). OBGYNs are named as the defendants in about 19 percent of medical malpractice cases filed in the U.S. each year. While general surgeons are also prominently named in these types of cases (being the defendants in about 17 percent of medical malpractice cases filed annually in the U.S.), primary care doctors are reportedly named as defendants in about 16 percent of these cases. While these medical malpractice statistics provide some insight regarding the nature and outcomes of malpractice claims in the U.S., contact us when you need experienced help with a medical malpractice case. 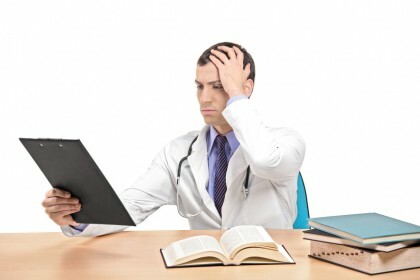 By far, the most commonly made allegation in medical malpractice lawsuits is that some type of diagnostic error (such as misdiagnoses or wrong diagnoses) occurred. Diagnostic errors reportedly comprise about 1 out of every 3 medical malpractice claims in the U.S. The next most commonly alleged medical mistake made in malpractice claims in the U.S. is related to surgery errors, which reportedly comprise about 24 percent of all medical malpractice claims in the U.S. Treatment problems, obstetrics mistakes and medication errors were also in the top 5 when it comes to the allegations made in medical malpractice lawsuits, with these issues reportedly being involved in about 18 percent, 11 percent and 4 percent of malpractice cases in the U.S. (respectively). While more than 31 percent of medical malpractice cases cite the resulting injuries (due to the medical negligence) as being the death of a loved one, other notable injuries cited in these cases include irreversible injury (which is cited in nearly 40 percent of these cases) and brain damage and/or paralysis (which is cited in about 12 percent of these cases. While the majority of medical malpractice cases never make it to trial (for various reasons, including that many of these cases are settled prior to trial), when they do proceed to trial, verdicts in favor of plaintiffs are reportedly handed down in about 21 percent of these cases. When medical malpractice cases are resolved through settlements (prior to trial), these settlement-based outcomes favor the injured parties (i.e., the plaintiffs) more than 60 percent of the time. While the average compensation for medical malpractice cases related to issues in inpatient care settings is reportedly just over $360,000, the average compensation for cases related to incidents that occurred in outpatient care settings is reportedly around $290,000. Florida, with a total of more than $203 million in medical malpractice payouts. Have you or someone you love been hurt by the negligence or carelessness of a medical professional? If so, you can rely on the Portland medical malpractice attorneys at the Savage Law Firm for experienced help and aggressive legal advocacy. For more than three decades, our lawyers have been devoted to defending injured people’s rights to both justice and compensation. While this means that our Portland medical malpractice lawyers will work diligently to help our clients tell their stories in court, it also means that our attorneys and dedicated staff will vigorously stand up to insurers and others outside of the courtroom to ensure that our clients are able to obtain the settlements they deserve.